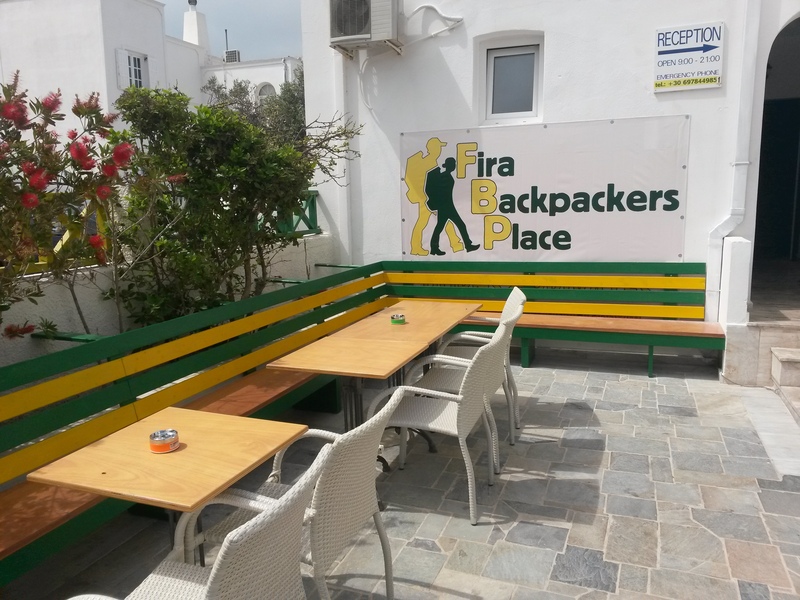 Fira backpackers is a new budget place with private rooms and dorms at the down town area of Fira the capital of Santorini island. 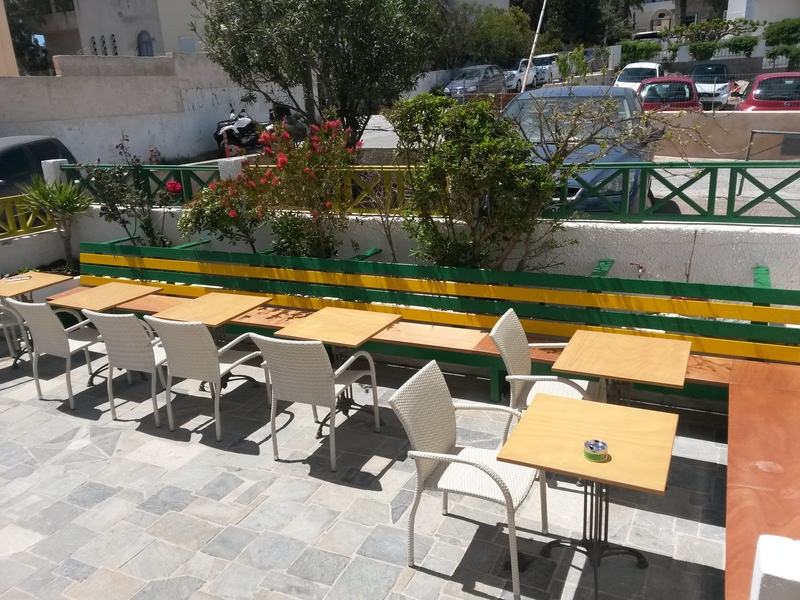 We are here to provide you with cheap accommodation at a stylish place with all the facilities of a hotel. Just less than 100 meters from our door is the main bus station of Santorini (Fira bus station) that connect you with all the beaches (Perissa ,Kamari and red beach ...) or Oia and any other place you like to visit at Santorini,90 meters from our door are the main square of Fira with many coffee shop ,restaurants ,fast foods,shops, the Caldera cliffs for shopping and best sunset views and the popular bars street of Fira. 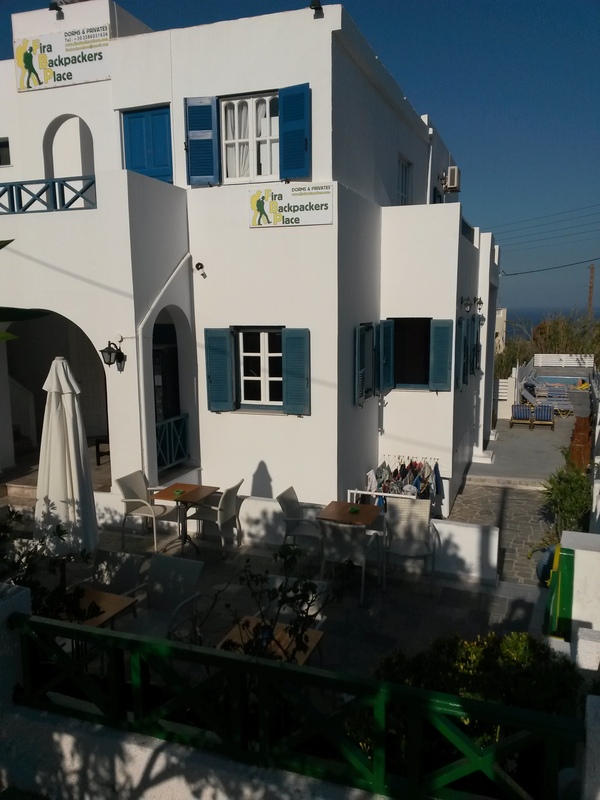 At our reception we provide you with all info as what to see and what you have to visit at Santorini island. 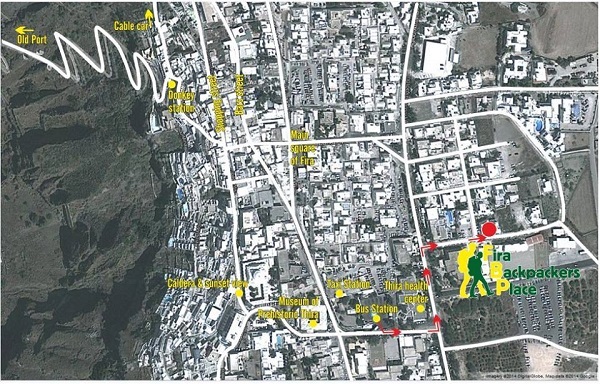 We can provide you all tours information with the best deals from anywhere else and a free map of the island for help you going explore Santorini. We are here to make Santorini island for you a budget destination with the less you pay the most you get. 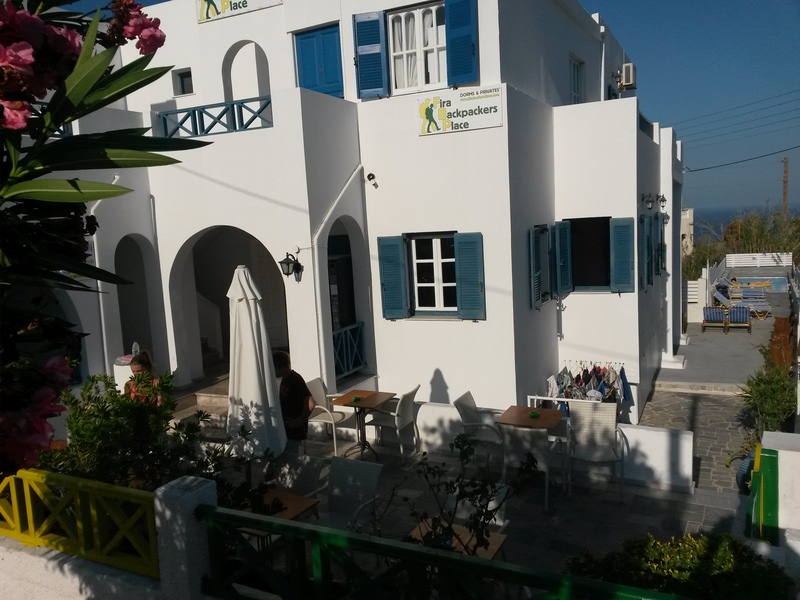 For make your stay even much more easier with us, we can organize you transfers upon arrival at Santorini's port or airport to our place or back. Contact us 1-2 days before your arrival date with ,arrival time ,flight number or the boat name and we will inform you for prices and meeting point info. We can arrange you also all the kind of transfers ,trips and tours at the best discount prices from anywhere else, see Santorini island and nearby islands (as the volcano,hot springs island , Thirassia island). Thanks choosing us for your holidays at Santorini island.